We’ve seen this before, and it’s tragically familiar. No matter how shocking, horrific and infuriating, the fatal police shooting of a black person needs to never happen again. 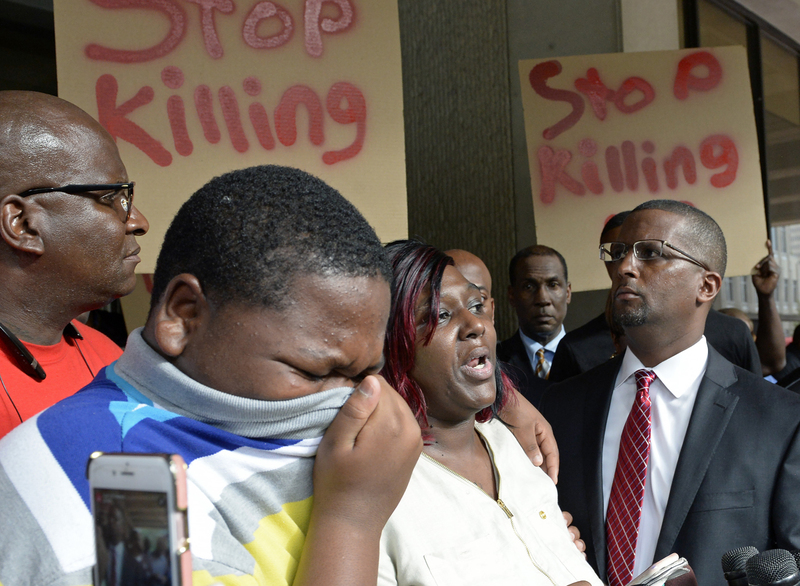 Alton Sterling’s family held a news conference Wednesday morning to address his shooting death by a Baton Rouge police officer Tuesday outside of a convenience store where he regularly sold CDs and DVDs, according to the store owner. From start to finish at the conference, his 15-year-old son sobs and cries out that he wants his daddy. People around the boy did their best to console him, but his cries only grew louder as he was walked to the back of the group. Later in the morning, the Baton Rouge police chief, mayor-president and other officials spoke at a news conference to discuss some details of the case and answer questions from the media. Louisiana Gov. John Bel Edwards held a separate news conference, where he said the U.S. Justice Department would investigate the shooting. As we said, this too is familiar. Stephanie McDee, who said she is a local blues singer, sings a song and protests at a makeshift memorial for Alton Sterling outside a convenience store in Baton Rouge, Louisiana, on July 6, 2016. According to ABC News, an anonymous tip was called into the police Tuesday about a man with a gun at the convenience store. The Associated Press interviewed the man who took the video and published it to social media. A video posted on Twitter shows the Baton Rouge police officers and Sterling getting tangled up and Sterling being taken to the ground. In the video, an officer can be heard yelling, “He has a gun,” and the other officer pulls out his weapon. The first shot is seen in the cellphone video, but the person recording pulls the phone down and takes cover in a car as several more rounds are heard being fired. 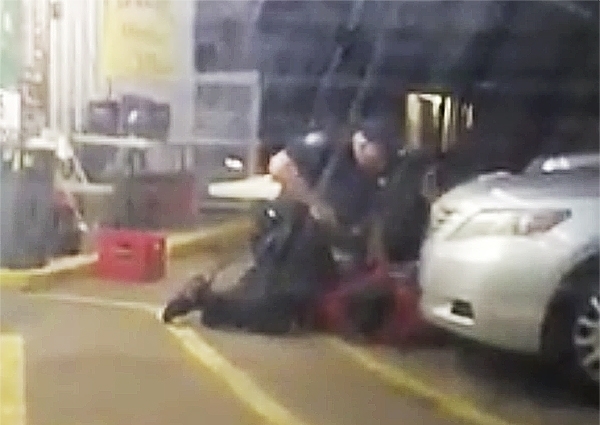 In this July 5 photo made from video, Alton Sterling is held by two Baton Rouge police officers, with one holding a handgun, outside a convenience store in Baton Rouge, Louisiana. Moments later, one of the officers shot and killed Sterling, a black man who had been selling CDs outside the store, while he was on the ground. During the scuffle, ABC News reported that the police officers’ body cameras came off during the scuffle. The store owner was reported to 2-3 feet away from the altercation, and explained that the police confiscated his security footage for evidence in the investigation.